Wood is Good! Wood has many uses and benefits the economy and environment of the United Kingdom, it has potential for creating a wide range of businesses and jobs. Using wood in construction for products and as a renewable energy source also benefits the environment. One of the only genuinely sustainable building materials available wood has the best thermal insulation properties and the lowest embodied energy of any mainstream construction material. In addition to being aesthetically pleasing it can be far easier to work with than many other construction materials. Our sawmill is well on the way to being able to generate a significant proportion of our annual electricity consumption. 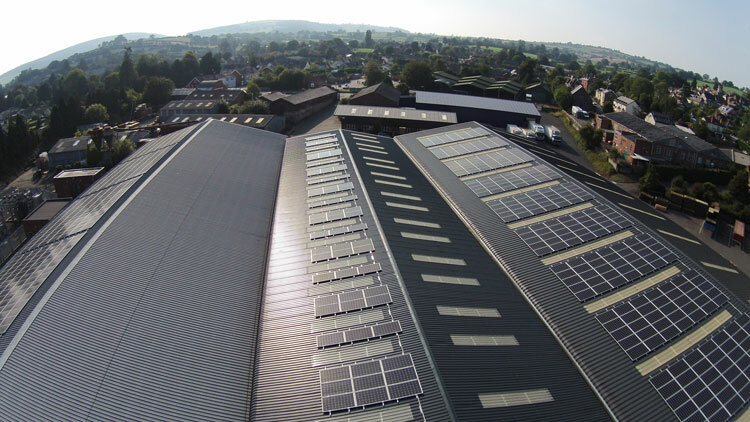 Over 2000 solar panels installed on the vast rooves of our sawmill and ancilliary buildings are capable, between them, of generating over 600kw of electricity. Astonishingly it means that timber, a natural raw material which is produced by the conversion of sunlight through photosynthesis is now being milled into useful products by means of the same solar energy. In a related move we have installed a drying plant which will add value to a substantial proportion (around 6k tons per annum) of our woodchip residue – one of the co-products of the milling process.The dried chips will command a better margin than undried ones when sold to local farms and nursery businesses who have made the switch to boilers powered by biomass of one kind or another. At Ransfords we take our Environmental responsibilities seriously. We source logs from our own forests and also from carefully selected UK suppliers. Wherever possible we limit the carbon footprint of the process by our on-going attention to improvements in harvesting, processing and distribution. 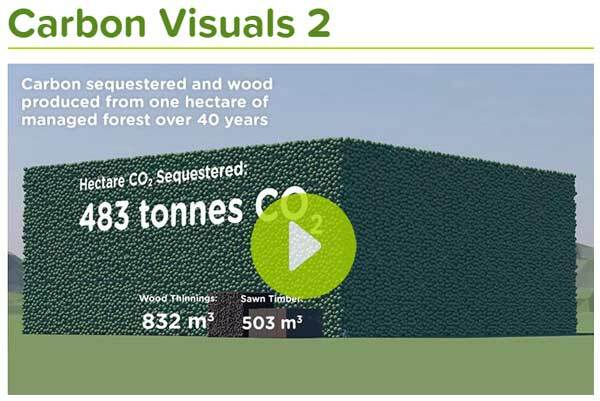 Wood from sustainably managed forests has the lowest carbon footprint of any mainstream building materials and in fact achieves negative net CO2 emissions. It’s naturally renewable and European forests are growing at the equivalent rate of three football pitches every hour of the day and night. It’s in plentiful supply and growing forests act as carbon sinks. Wood products act as carbon stores and since wood products store the carbon initially trapped in trees, carbon is removed from the atmosphere for as long as the wood products remain in use, and beyond when the product may be reused or recycled for secondary material or energy recovery. On average, trees absorb one tonne of CO2 for every cubic metre of growth. They also produce the oxygen we breathe – an average of 727 kilograms of oxygen for every cubic metre’s growth. Wood for Good has launched a series of short films promoting the environmental benefits of using wood. They are really excellent – the best attempt yet at communicating this important message. Ransfords own 2000 acres of woodland which we calculate stores 386000 tonnes of CO2 – so we’re doing our bit!